If you get hurt or sick because of work, your employer is required by law to pay for workers' compensation benefits. Workers' comp insurance provides six basic benefits: medical care, temporary disability benefits, permanent disability benefits, supplemental job displacement benefits or vocational rehabilitation and death benefits. Workers' compensation is the nation's oldest social insurance program: It was adopted in most states, including California, during the second decade of the 20th century. It is a no-fault system, meaning you don't need to prove your injury was someone else's fault in order to receive benefits. 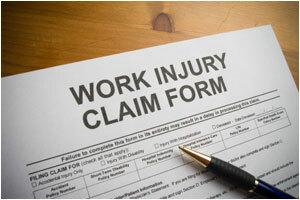 The workers' compensation system is based on a trade-off between employees and employers. Employees are entitled to receive prompt, effective medical treatment for on-the-job injuries no matter who was at fault and, in return, are prevented from suing their employers over those injuries. The vast majority of workers' compensation claims are resolved without any problems. However, sometimes a disagreement can arise between you and the claims administrator over issues such as whether your injury was sustained on-the-job or how much in benefits you are entitled to receive. When a dispute like that arises, the Division of Workers' Compensation can help resolve it through its Information and Assistance Unit or by going before a judge at one of the division's 24 local offices.